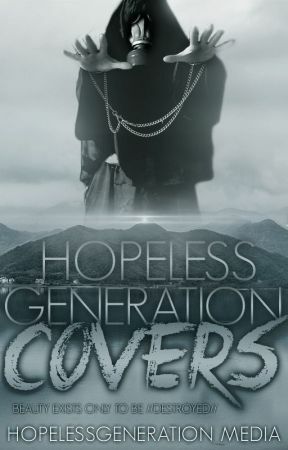 Welcome to Hopeless Generation Covers. Starting with a little about myself: I am a college student looking to build his portfolio and get some good practice in. However, even if I&apos;m only going to college, I&apos;ve got close to several years of experience with Photoshop, and about five or so with Illustrator. So, if anything, I&apos;m definitely not some newb. I&apos;m here to make covers for both the people of Wattpad and the people looking to self-publish. I will be doing high-quality, professional covers; be it an ebook, a Wattpad cover, or a print cover (more on this later.). Now, as much as I would like to give my covers away for free, I can&apos;t. I mean, a man has to eat, right? But seriously, making a strong, good-looking, and/or professional cover takes a lot of precious time. As such, I&apos;m going to charge for my covers. However, since I know what it&apos;s like to be dead broke, I will be making my cover abilities affordable to almost anyone. Along with that, you get the added bonus of your cover being ready for commercial usage. Every cover will be different in complexity and theme, therefore I will not have a dead set price on my covers. Payment will be decided before the cover is made, and the cover will be delivered following the payment (you will receive a watermarked copy of your cover as proof of the finished product before you send the payment.). All payments will be made through PayPal, and PayPal only. *Type of Book: Wattpad/Ebook/CREATESPACE PRINT (Createspace prints are the easiest to work on as they have set rules and numbers. Whereas IngramSpark and the others vary widely, making them difficult to work with). You will need to email me (HoplessGenMedia@gmail.com) with the following information. Presenting the information to me cleanly will help the process move along a bit quicker, and not to mention, smoother. That&apos;s all I can think of right now. If you have any questions, feel free to PM/Email/Comment with them, and I&apos;ll gladly answer! 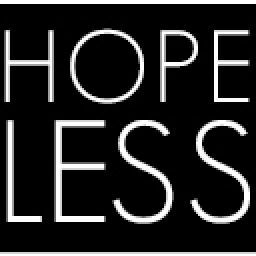 - For the Hopeless, from the Hopeless.